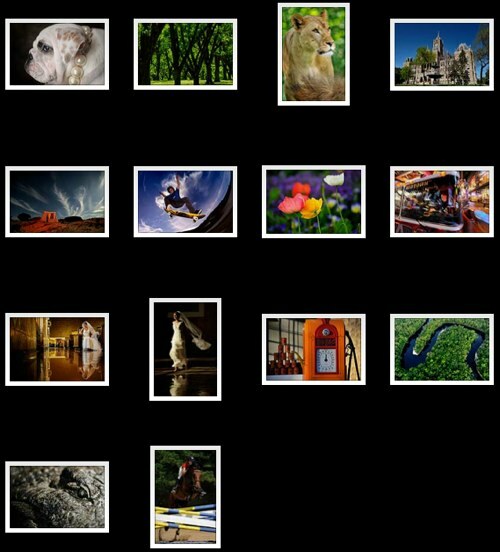 This page is a collection of photo samples taken with the Nikon D700, plus related image galleries, user pictures and other examples that I’ve come across in forums, online communities, blogs and related websites. This should help in determining if the image quality of the D700 meets your expectations. Bear in mind that the majority of these photos are re-sized, and may have gone through post-processing, retouching or other edits. I just thought that it would be interesting to see, at a glance, what Nikon D700 DSLR owners and users are shooting with their camera. Model Shoot by “photonerdcom” — Motorcycle and female model photos, shot with a D700 and Nikkor 70-200mm VR II lens. John used two lenses on the D700 to shoot these images, the Nikon 14-24mm f/2.8G ED AF-S Nikkor and Nikon 24-70mm f/2.8G ED AF-S Nikkor. Here are some interesting comments made in that thread. I was thinking about its performance compared to other cameras I’ve owned. How it ‘handles’ detail through distance & haze, demanding DR (dynamic range), low light & odd WB (white balance). I like it so much I am starting to anthropomorphize it. My best overall advice —if you haven’t already guessed— is to shoot RAW/NEF format files (not JPEG) and learn as much as you can about post processing. RAW/NEF files… are the best ‘negative’ format for capturing and preserving the most information out of a scene. But, unprocessed Raw files look flat and lifeless. You can count on almost never getting what you have in mind straight out of the camera, and into a RAW file —no matter how good or expensive the camera may be. You will always need to adjust and fine tune, just like developing negative film and getting an optimized print out of it. Like most photographers I too ‘bracket’ my shots. Then, as needed (eg. shot #3) I may blend frames to get the detail I want. Future cameras will probably have the ability to do this all in-camera (http://www.jbphotographics.com/blog/?p=136) but until then, the D700 plus ‘manual blending’ gives us a ‘classic’ milestone package that we can use now. View more of John’s photos at J. Christopher Galleries: Nature Photography From The Pacific Northwest. Tony mounted a Sigma 180mm f/3.5 macro lens on the D700 to snap these pics, and used an Expodisc for setting the white balance. View more of Tony’s photos at his PBase gallery. View more of Noah’s photos at Photo-Nerd.com. His model gallery is one of the highlights. M.Soria took this spectacular high-ISO photo of the Milky Way with the D700 plus Nikon 14-24mm combination. Settings were 60 seconds, ISO 3200, f/2.8, 14mm. Nikon 200mm f/2G ED-IF AF-S VR Nikkor pictures which are good enough to make a calendar with. There are sample images from the D700 plus Sigma 150-500mm lens, as well as from the Nikon D300 and D5000 with the same lens. The D700 samples are the first to be featured in the article. Here’s Google’s English translation of the article, which announced the granting of the Pixelmania Award to the Nikkor 14-24mm. Embedded in the review are eight thumbnails that when clicked on, take you to the original, full-resolution versions. The photos were shot at focal lengths of 14mm and 24mm on a Nikon D700. Glenn Nagel mounted a Nikon 200mm f/2G ED-IF AF-S VR lens on the D700 to take this series of stunning photos. Rigel Bowen of DCCPhotography mounted a Nikon 60mm f/2.8G ED AF-S Micro-Nikkor Lens on the D700 to photograph this portrait of a lady. 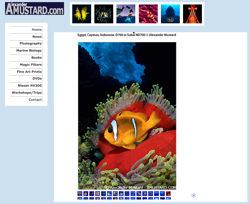 Head over to Mr. Mustard’s Nov 2008 — February 2009 dive gallery, which has pictures from his diving trips to Egypt, Cayman and Indonesia. Alexander goes into more detail about the gallery ia a forum post, and he listed the following lenses, which were mounted on the D700 to get a rich set of photos with different perspectives. The D700 was put into a Subal ND700 underwater housing. Read more about the equipment and kit Alexander Mustard uses. Here are two ISO6400 RAW / NEF files that you can download for evaluating the image noise characteristics of the Nikon D700. This ISO1600 photo was taken in good light, but it should prove useful for evaluating dynamic range and how the Nikon D700 handles shadow detail in such situation. Thanks to Ben Horne who took three photos and hosted the NEF files and full-sized JPEGs on his site. The location was Chicago Bears training camp in Bourbonnais, Illinois. ISO 6400 was necessary for 1/400 sec and faster shutter speeds. Find these sample photos at NikonImaging.com. Nikon D700 Image #1 (dog), ISO 200, shot with a Nikon 60mm f/2.8 G AF-S macro. Nikon D700 Image #2 (wedding gown), ISO 200, taken with a Nikon 200mm f/2G. Nikon D700 Image #3 (aerial shot), ISO 200, photographed with a Nikon 24mm f/3.5D ED PC-E Nikkor. Nikon D700 Image #4 (warm interior), ISO 400, shot with a Nikon 24-70mm f/2.8G. Nikon D700 Image #5 (half-body portrait), ISO 400, ISO 400, taken with a Nikon 200mm f/2G. Nikon D700 Image #6 (arms-on-the-table portrait), ISO 200, photographed with a Nikon 60mm f/2.8G AF-S macro. Even though the images are not available as full-sized versions, they’re a delightful collection of photos taken with the new D700. Go to this link, click on the first thumbnail of the photo gallery section and go through all the pictures — my favorites are the wedding shots, fire truck, skate boarder and the snaking river. It turned out that the fire truck shot was photographed by Joe McNally — read his superb post on how the shot was set up, and the equipment and lenses (mainly the Nikon 14-24mm) used.